With Windows 10, Microsoft announced that it would be including Candy Crush Saga You Won't Believe How Much Money These iOS Games Make You Won't Believe How Much Money These iOS Games Make Just how much money are the people and companies behind these popular iOS games actually making? You might want to take a seat, because the numbers will shock you. Read More with all copies of the operating system. This is great for people who like the game, but for those of us who aren’t fans, it’s a bit much. Fortunately, getting rid of it isn’t too much of a hassle. Hit the Enter key and the uninstall process will complete within a few seconds. That’s it, you’re now free of Candy Crush once and for all. 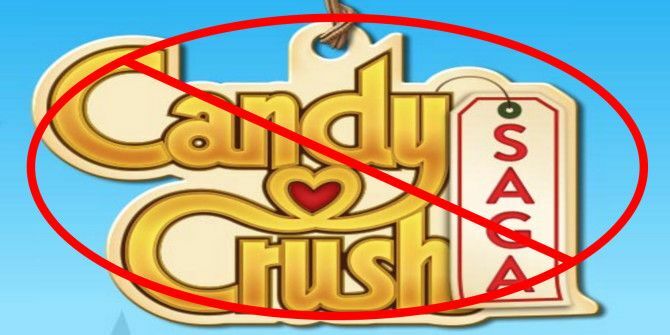 Did you uninstall Candy Crush, or did you keep it because you love it too much? Share your thoughts on the game below! Explore more about: App, Windows 10. If I go into the Windows Store, it shows that I own this wretched game. However, when I launch Powershell and run "Get-AppxPackage -Name king.com.CandyCrushSaga", all that happens is I'm returned to a command prompt at C:\Users\. I don't have any candy crush game in Windows 10. I see it in the store but I don't have it installed.